I say websites because most of the good maternity lines aren’t even stocked in-store, also because standing in a topshop changing room just feels horrible when you are 7months pregnant and even more so when you are 7months pregnant and have a toddler (or two) in tow, even if their maternity line were fantastic (and it’s not really..) so it would be advisable to stick to the online purchase in any case. The first few months you will likely wear your regular clothes, but just look a little less great in them. At about month 3 or 4 (or week 5, when you’ve been pregnant before)… you’ll start thinking that some more forgiving clothing would be a good idea. You’ll try on some maternity clothes. They’re huge!! Ha! Who has a bump that big?! By month 5 or 6, you fit maternity clothes just perfectly. By month 7, you start to feel frustrated. Why are they even called maternity clothes if you can’t…fit…into…these…jeans. 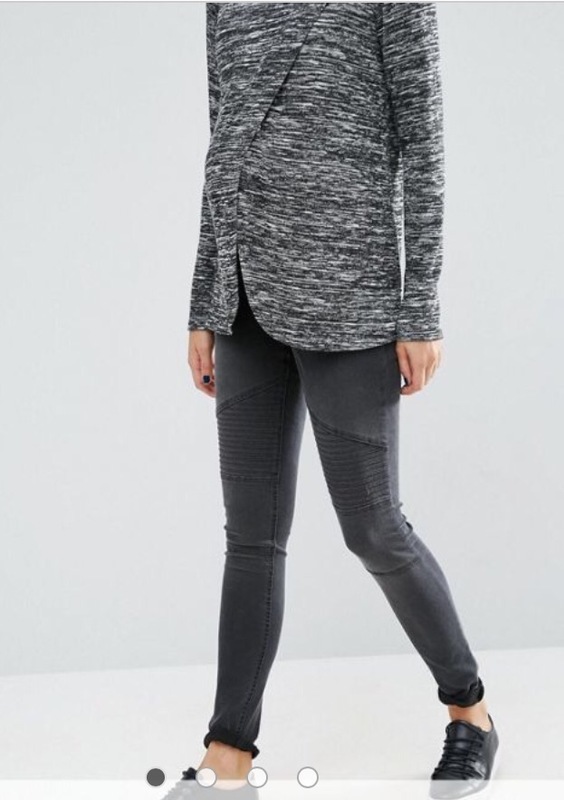 Month 8, you are so bored of wearing the same leggings + ‘tunic’ (very likely your husband’s tshirt)… that you convince yourself it makes sense to buy more maternity wear even though you only have another 6 weeks to go. Find a lovely loose fitting top/dress/jumpsuit; feel like a million dollars. Say things like “my face hasn’t even got fat this time!” Wear that one outfit for the rest of the pregnancy. 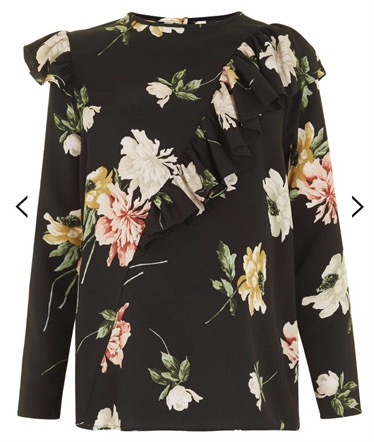 Don’t ever look at any photos of the last 6weeks when your face is rounder than you could even imagine and you are always wearing what your husband refers to fondly as the ‘sack dress’. As far as what you’re looking for… I would suggest, looser fitting things that skim over at the start, tighter fitting for the peak bump glory days of months 5-7, then, sack dress all the way. 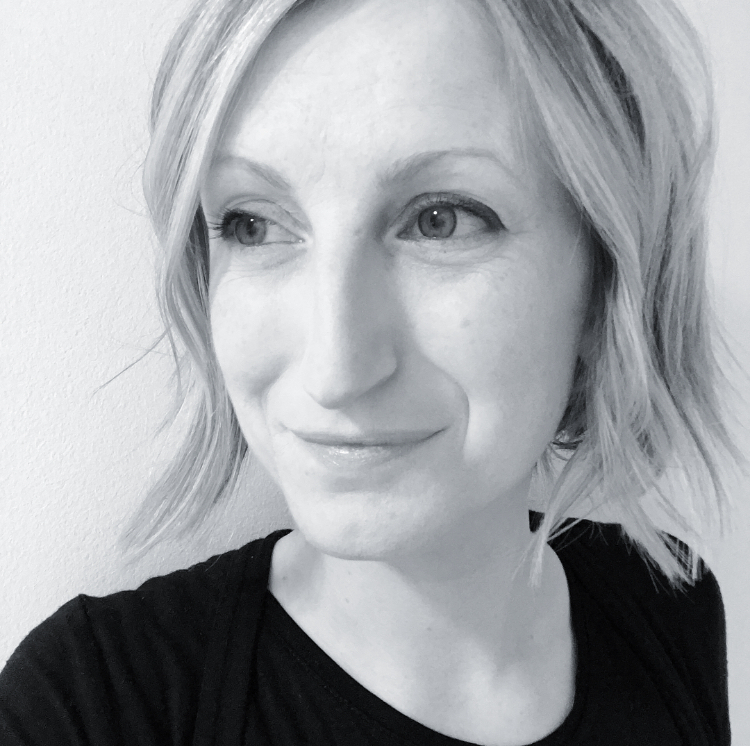 This is also a time when you can spend a lot on a cashmere cardigan that will always fit, ditto expensive scarves that you can drape appealingly over the bump. 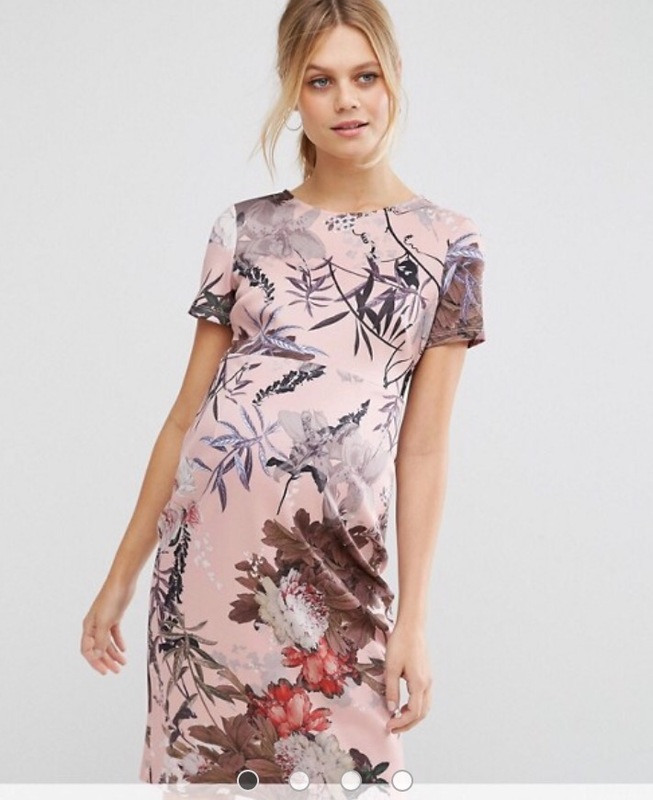 Asos has some lovely things in at the moment – almost makes me wish I were pregnant again! A pretty dress for an event that requires a pretty dress. Lots of options at asos. Including this, the comfiest thing to sleep in when nursing a baby ever. This top could look nice dressed up for an office situation or with some boyfriend/girlfriend jeans for a weekend look. 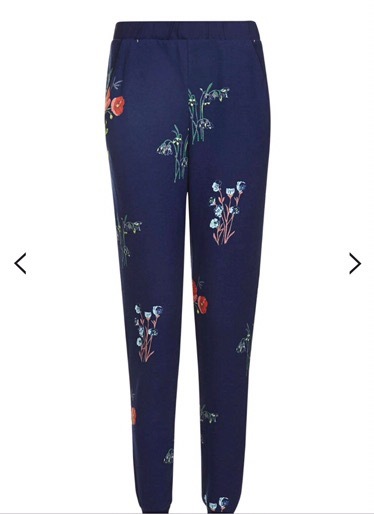 Steer clear of the topshop maternity jeans though. A curse on all pregnant women with their rubbish elastic inserts and constant sagging. 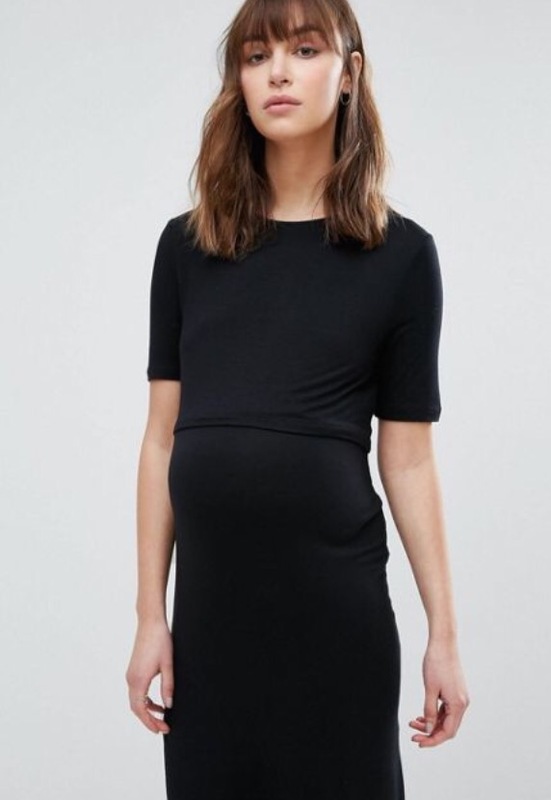 Not sure why H&M is at number 3 here as I definitely think they have a good basic selection, better than topshop for your average pregnant person. 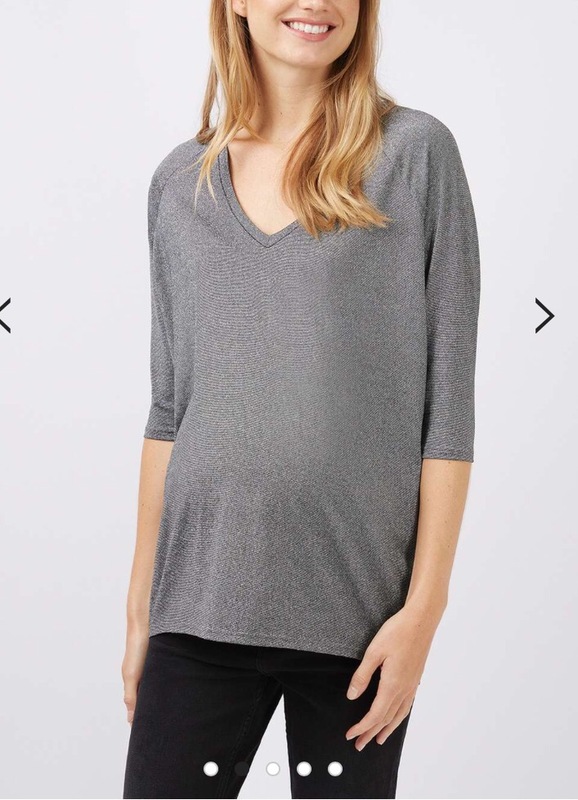 They are also great for buying non maternity pieces in slightly larger sizes than usual – definitely a good option for the first few months. 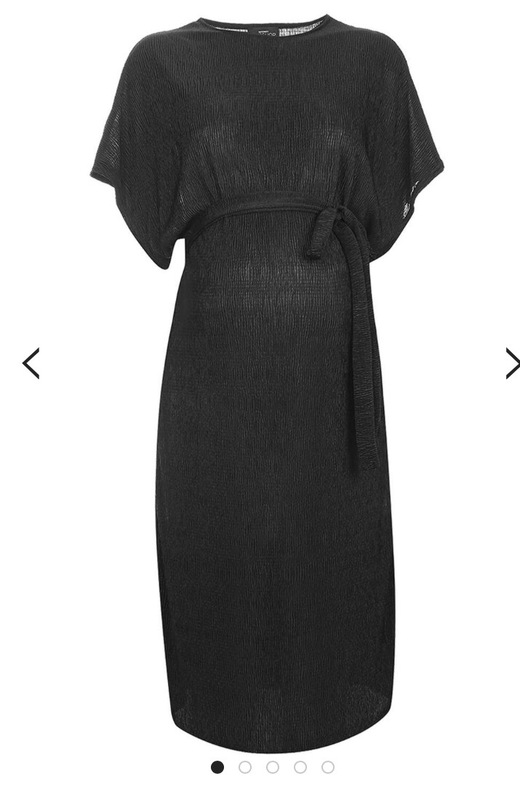 H&M also gave me one of my favourite maternity wear items of my last pregnancy – black dungarees. So ridiculously comfortable and, well, when else can you wear dungarees if you are not at all hipster ish? They still do them! Oh I miss them. Snap them up immediately. This nursing dress looks great – also available in a striped colour way. And, when you have tapped out all of the above: Mango…Next…M&S…Dorothy Perkins…Jojomamanbebe… a long list. Gone are the days where you had to wear an elastic band on your jeans – but I bet you end up doing that anyway. Part 2 coming soon..